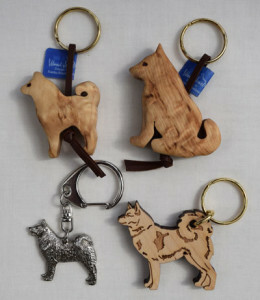 We have 3 different types of key ring. 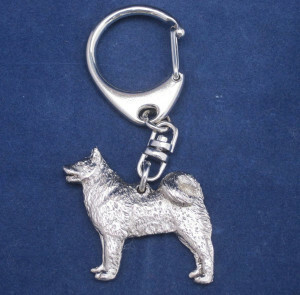 The silver-finish metal key ring is made in the UK by Alden Arts. 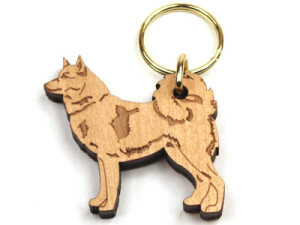 The birch wood key ring is made in Central Finland by Veico. The ‘curly birch‘ wood key ring is hand-made in Northern Finland by Wood Jewel. 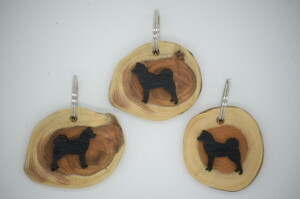 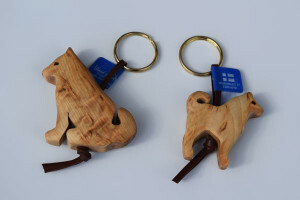 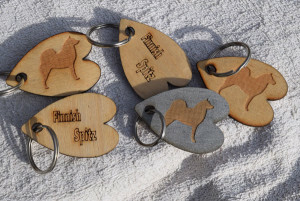 The ‘curly birch’ key ring is available with either a sitting or a standing dog.